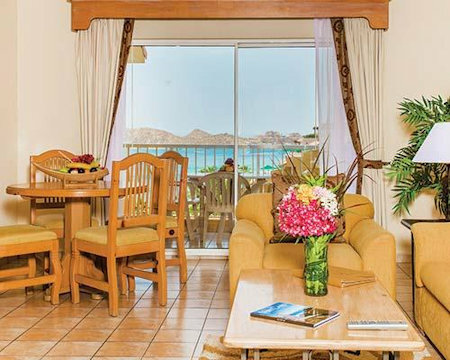 Villa Del Palmar Beach Resort & Spa in Cabo San Lucas, Mexico - Buy a 7 Night Stay in a Studio or 1 Bedroom Suite! 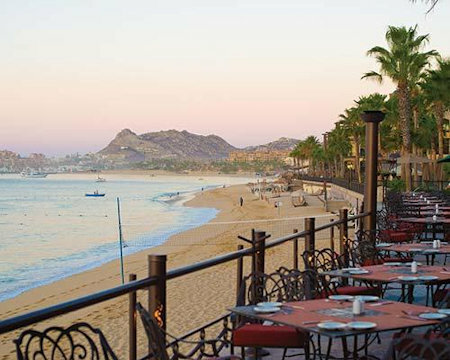 Enjoy 7 Nights at the Villa Del Palmar Beach Resort & Spa in Cabo San Lucas, Mexico! Villa del Palmar has one of the best spa's Los Cabos has to offer. The spa pampers its patrons with exotic treatments in its 10,000 square foot state-of-the-art facility. The full service fitness center, with the latest in cardiovascular exercise, full range of "Paramount" workout equipment, and a wide variety of free weights, provides the perfect environment for the health-minded traveler. 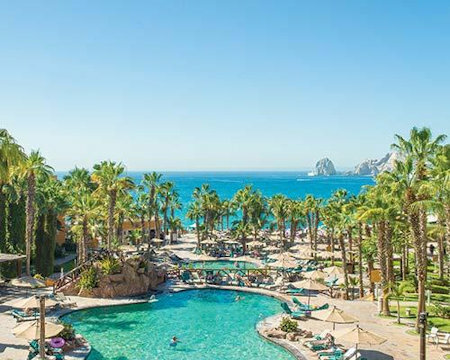 The natural beauty and charisma of Los Cabos meets luxury accommodations and world-class amenities at this fine beachfront resort. You’ll find plenty of ways to enjoy yourself here, from the sparkling beachfront pools and whale slide to the European-style spa and fitness club. Villa del Palmar is full service and more: there’s a full spa, fitness clubs, two restaurants, art galleries and jewelry shops, a pharmacy, a market—even scooter rentals and horseback riding! 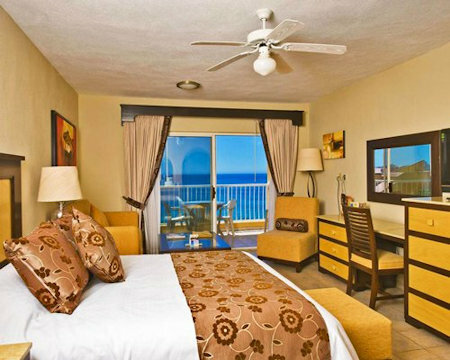 There’s so much to see and do that you might not even leave the resort. Your 1 Bedroom Unit will sleep up to 4 guests with a full kitchen. 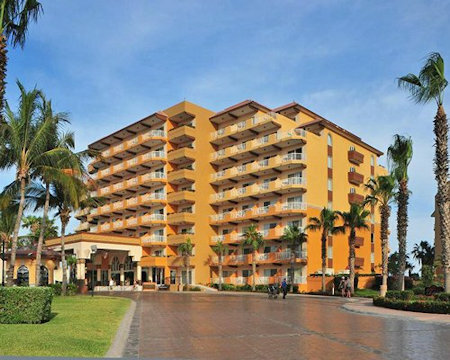 Resort amenities fee of $8 USD per partial gym access and $15 USD per full gym access. Transportation fee of $38 USD per person, rountrip. Service charge fee of $3.50 USD per room per day.